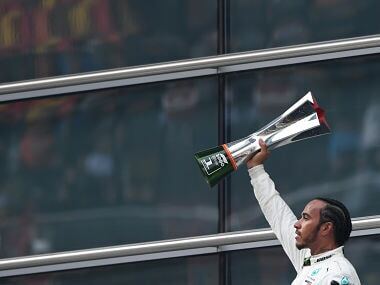 Barcelona: Lewis Hamilton and Mercedes won the 2018 Spanish Grand Prix; this was Hamilton's second consecutive win of the season. With that win, he also crossed Michael Schumacher's record of scoring 41 race wins from pole position. Well, if this stat wasn't enough, here's one more – Hamilton has had 30 consecutive points finishes, another Formula One record for the British driver. Hamilton crossed the line 20.5 seconds ahead of teammate Valtteri Bottas, giving a hint that Mercedes and Hamilton could be back to their dominant ways. But Hamilton was quick to offer caution whilst still celebrating Mercedes' first 1-2 finish of the season. "You can only take it one race at a time," he said. "This weekend, we got ourselves on the right path. The team did an exceptional job. I didn't know what the pace would be." He continued, "I was much happier with the car. I wouldn't say I had perfect synergy, but almost. I think that showed in my face. I'm really happy. I said I wanted to come and win in the way that I have won. Coming across the line, I'm happy I did it in the way I planned to." Ferrari – Lack of performance of flawed strategy? Ferrari's Sebastian Vettel could only manage to finish fourth. In fact, after winning the first two races of the season, Vettel has failed to finish on the podium. The German driver is now 17 points behind Hamilton in the Drivers' Championship despite being 17 points ahead in Bahrain (only three races ago). Could this result be a swing in Hamilton's favour in the Drivers' Championship battle for 2018? "It's a bit early to say, but I would like to hope it could be part of the turning point," said Hamilton. It was largely anticipated that most teams would attempt a one-stopper strategy (soft - medium) unless rain or a late-race Safety Car period was added to the mix - and that's how it turned out to be. However, Ferrari caught everyone by surprise when they decided to call Vettel in the pits (under the VSC period) for the second time. The degree of surprise increased further when they decided to send him out on the medium tyres instead of the softs. Was this a case of Ferrari's strategy going all wrong? This question topped the list of most repeated questions to Vettel post-race! "We couldn't make the tyres last so for us it was clear we come in again," Vettel clarified. "I think it was the right thing to do. Obviously, if you look from the outside it's easy. But inside the car, we were going through the tyres too quick and therefore we were not able to stay out for another 23 laps. Even in the end with the fresher set, I wasn't able to attack until the end." The lack of performance from Ferrari would be alarming. On the soft tyres, Vettel could manage 4 laps fewer (20 in total) than Alonso who managed 24 laps on his super soft. On the mediums, his Ferrari could manage only half of the number of laps (24) as Bottas (47). Vettel offered three reasons for Ferrari's lack of performance in Spain, the second one being that with Pirelli's tyres that have been changed for this race (and the next two - Monaco and Canada). "I think we struggled a little bit over the course of the weekend with the tyres. They changed but they changed for everyone. So our ambition has to be that we're better off rather than worse off," reasoned Vettel. 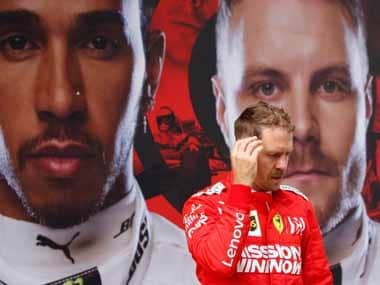 Even if one were to assume that two-stopping was Ferrari's strategy for Vettel's race, it wouldn't be too hard to think that they were more foolhardy than brave. Yes, strategy gambles under the SC/VSC period have paid off in the past - for instance, in Australia - but to give up track position on the Circuit de Catalunya is suicidal as overtaking is extremely difficult. The other issue for Ferrari was their unreliability. After Raikkonen's car suffered from power unit issues in the Free Practice 2 session, the Iceman retired from the race from what seemed to be a similar issue. 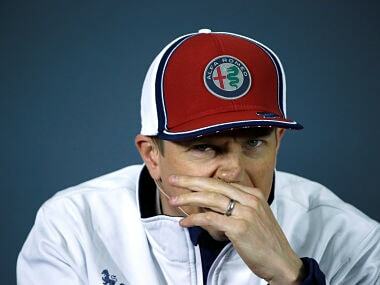 It seems that Raikkonen is yet again on the receiving end of Ferrari's bad luck. This was the second time in the last five races that only one Ferrari car reached the finish line. In the Constructors' Championship, Ferrari trail Mercedes by 27 points. 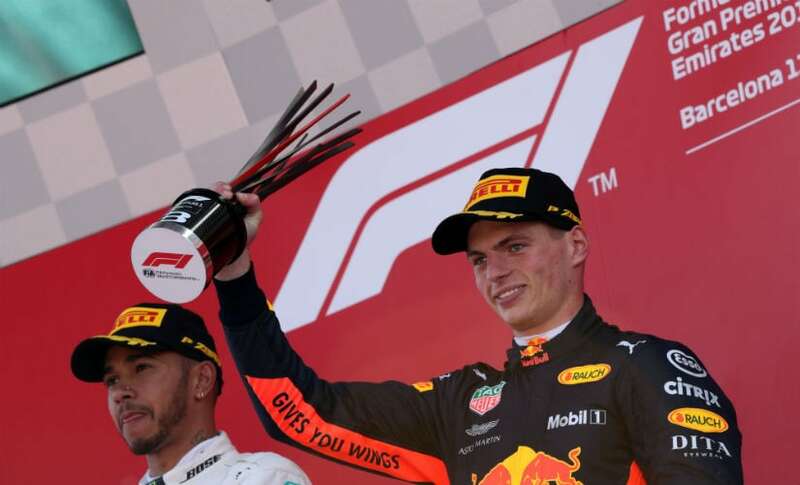 Max Verstappen scored his first podium of the season despite yet another driver error during the race when he tapped Lance Stroll's right rear tyre while under Virtual Safety Car conditions. Luckily for Verstappen, the damage was only to his front wing endplate and didn't limit his performance too much. The Red Bull Racing prodigy was able to keep ahead of Vettel to climb onto the last step of the podium. After a tough start to his season, Verstappen surely heaved a sigh of relief with his podium finish in Spain. He said, "It feels nice to be on the podium and nice to have a good clean race. Hopefully, we can just work from here and score a lot of good results." The other Red Bull Racing driver, Daniel Ricciardo, finished 5th but a scary 50 seconds behind race leader Hamilton. It was only revealed post-race that one of the reasons for this huge gap was a spin after the Virtual Safety Car restart on cold tyres. Ricciardo was followed by Haas' Kevin Magnussen - strengthening belief (yet again!) - that his team is the 'best of the rest' and if they string a race together, a good result is possible. His finish helped Haas jump up to 6th place with 19 points, one ahead of Force India. 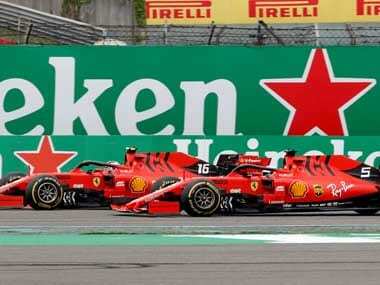 Spanish driver and local hero Fernando Alonso finished seventh after a spirited drive, also pulling off the best overtaking manoeuvre of the race, when he raced past Esteban Ocon on the outside of the fast and sweeping Turn 3. Force India's Sergio Perez's scored two points for his team in 9th, while Charles Leclerc continued his momentum from Baku to finish 10th, adding one more point to Sauber's tally. Williams' Lance Stroll, who had more than a fair share of off-track excursions in the Free Practice sessions, finished approximately five seconds behind Leclerc in 11th place. After an embarrassing crash under the Safety Car in Baku, Romain Grosjean caused further embarrassment for himself when he spun on the opening lap after his car got destabilised in the dirty air of Magnussen who was ahead of him. However, it was Grosjean's stubbornness to off the throttle while spinning that caused the first lap mayhem in the race. The smoke generated from the excessively spinning tyres turned the Turn 3 into an invisible corner, one that drivers who followed Grosjean had to tackle not knowing that Haas was in the centre of the circuit. The unfortunate victims of Grosjean's spin were Nico Hulkenberg and Pierre Gasly. In fact, Hulkenberg's lose left tyre was a testimony to why the halo is important for driver safety. And finally, it wasn't only a Ferrari power unit that suffered troubles. The 2018 Spanish Grand Prix saw a Mercedes power unit fail too - something we don't hear too often. Esteban Ocon, who ran a good race till a delayed pit-stop ruined his chances, had to retire after his car ran out of power. 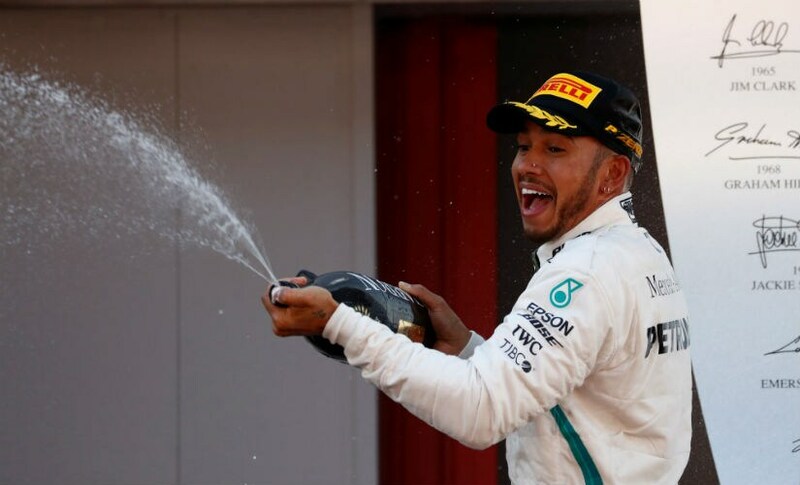 The 2018 Spanish Grand Prix further highlighted two things. First, the progress each team has made since the start of the season. Second, the ever-increasing gap between the teams. Perez and Leclerc finished two laps down on the leaders. Let's hope that the aero changes for 2019 will help address this growing concern too.